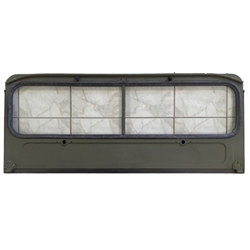 M151 & M151A1 Windshield assy with glass and weatherstrips. These are NOS windshield frames for the M151A1 jeeps. Does not include the windshield wiper related parts. These are oversized and will need to ship truck freight. Please call for a quote.